Hi- thought I would open some future possiblities with this blog, the association and for the Huronia area. I am thinking of attracting universities/NGO's to the area by developing symposiums on Colonization and Globalization- Learning from History. Conferences could be held in the area and participants can visit the relevant sites, have presentations given by native leaders/communities in the area etc.. There was a Jesuit at the Shrine last year working on the effects of Globalization with the UN and I think the missionary work of the region during the 17th century may have something to offer scholars and social activists. The HHA could be a liason for the various groups represented. has anyone done any work on this historical angle already? any information sources? Also, I am not sure I understand the purpose, scope, intended audience, and intended results of the symposia you are suggesting. There is an international symposium that I know of which will be in Tunisia this summer. I will find out more about their mandate since someone I know is going. Globalization is a timely subject, however, the Huron mission was not really about colonization- but Huronia could be a destination that may be of interest to international scholars for a variety of reasons (including the beaches). I am just thinking out loud about the academic potential for the area and HHA's mandate could include fascilitating such an enterprise. I definitely believe the HHA could be a forum for all interested stakeholders to share their vision and protect our heritage. The suggestion holding a symposium on globilization is intiguing. I'm just finishing Trigger's book and he mentions the Jesuit activities in Paraguay that caused them to reorganize their approaches in Huronia. While their motivation was religious, from the Aboriginal perspective I think it may be viewed as colonizing as well. A recent CBC program explored the Jesuit heritage in Paraguay in terms of an extensive collection of Baroque music that has become a national treasure and source of pride. 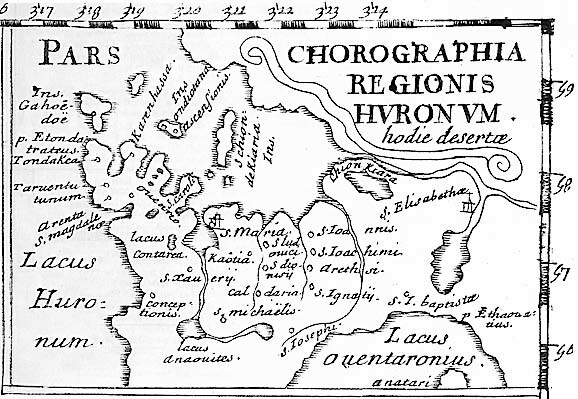 Huronia offers a unique context for a dialogue on globalization as our history involves the early interaction of the three fundamental cultures of Canada: Aboriginal, French and English. Trigger brings up some good points. I think he needs to be balanced with the works of Lucien Campeau. For example, Trigger ignores the military superiority of the Iroquois who had guns from the Dutch. I think the Shrine is a good example of multiculturalism as well, since there is an ethnic pilgrimage here almost every weekend. I know Jamie brings a lot of different conferences into the area relating to archaeology and such. I may try to discuss this matter with the institution I am associated with and possibly have the Jesuits organize something at the Shrine, since the Pope was here and WYD- the shrine is use to large crowds (although I can't expect 100,000 people at this symposium).